“I consider myself a visual explorer of the effects of light upon the landscape. 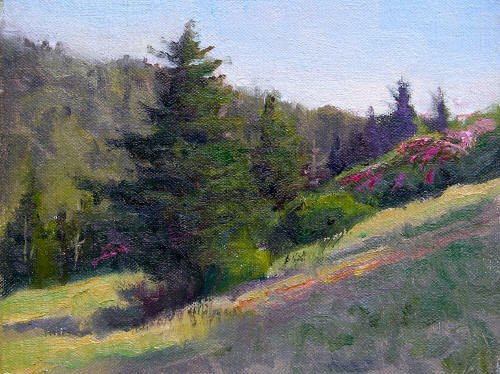 There is no better way of doing this than for an artist to take his paints outdoors to study these fleeting effects of light upon the landscape and its subjects. This approach to study nature has kept me captivated for years and I’m not sure I will ever get over it! This is the energy and inspiration that I transfer to my larger studio paintings. I would call myself a realist impressionist. It is not my desire to paint every leaf and blade of grass for the camera is a better slave for that type of work. I want to create a painting that captures the essence of the scene with the feeling of that day with its weather, light, and mood. Though I have no academic art training, I am on a continual journey of study and investigation, through art history, artist books, and art museums visits through out the United States. Some of my favorite artists of the past are: Frits Thaulow, Claude Monet, Henry O Tanner, T. C. Steele, Winslow Homer, George Inness, Sir George Clausen Edgar Payne and the early California Painters, and The Russian Impressionists Clyde Aspevig, and T. Allen Lawson. 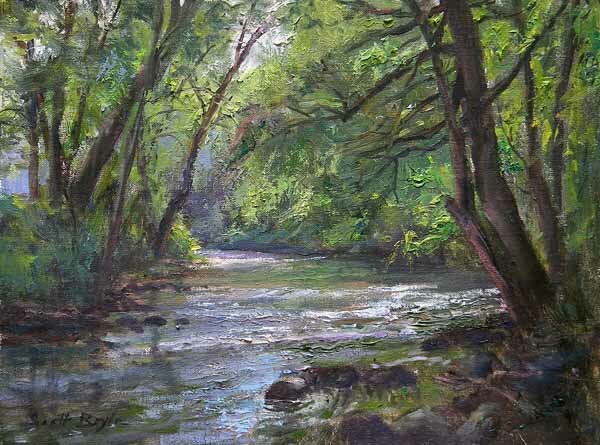 And great landscape painters of today are T. Allen Lawson, Clyde Aspevig, and Marc Hanson. 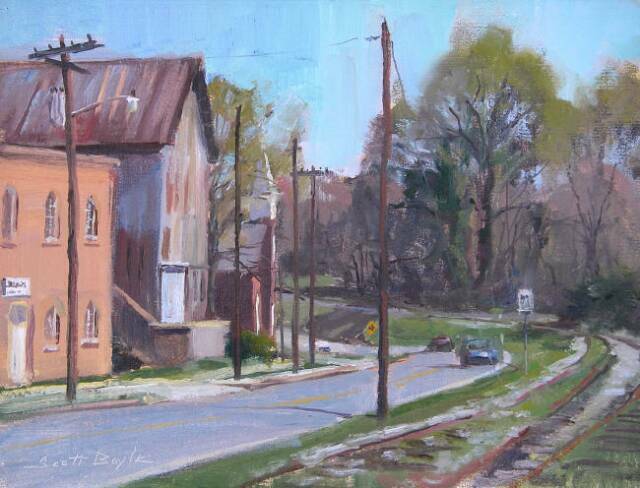 Scott Boyle is one of North Carolina’s most popular landscape artists and is a promoter of plein air painting, organizing numerous outdoor painting events each year. Additionally he teaches workshops and frequently speaks on the subject. Growing up in the state of Indiana, Scott was recognized to have unusual artistic abilities at a young age. He was fortunate to have parents who immersed him with opportunities to develop his talent with private lessons and years of study with traditional Brown County Artists. 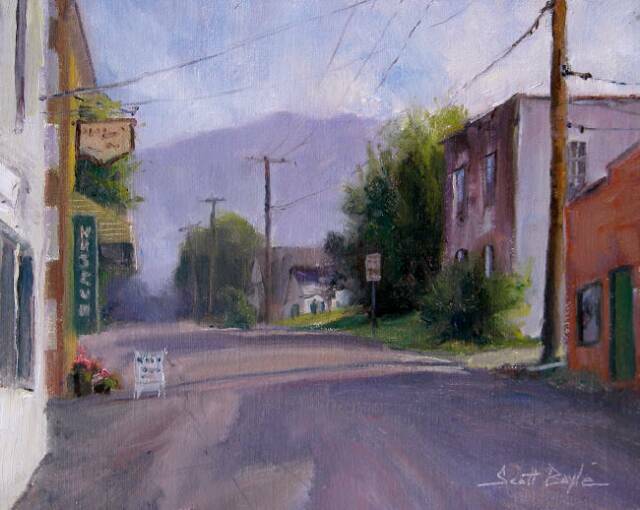 After moving to North Carolina in 1987, Scott began to investigate the rich and subtle beauty of the Appalachian Mountains, later to discover plein air painting, which is now his vehicle to explore North Carolina more intimately. He continues the tradition of the great 19th century painters who used plein air painting as an indispensable tool to produce more meaningful studio works. 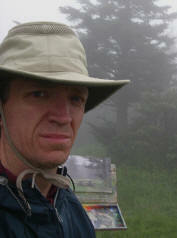 Scott now lives in rural Gaston County, North Carolina with his wife and 5 children.